Eep. Since Gooey is busy talking with Stache about the wonders of the poutine, who is it that Bun has run into? One thing's for sure, it ain't Gooey! 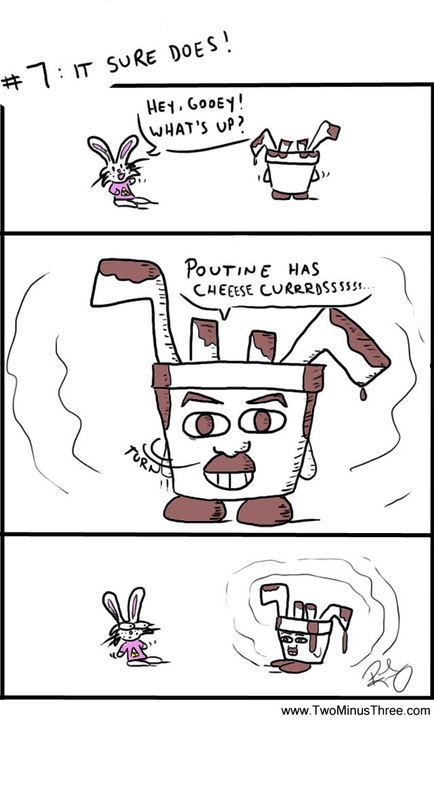 I suppose this is a character that fits more into the (wrong) mentality that poutine is gross!